This tutorial is an elementary introduction to teach non-programmers how to customize their work environment; it can also be used as an introduction to programming basics. It includes numerous exercises and sample programs; the author also walks you through the actual source code of several GNU Emacs commands. A handy reference appendix is included. 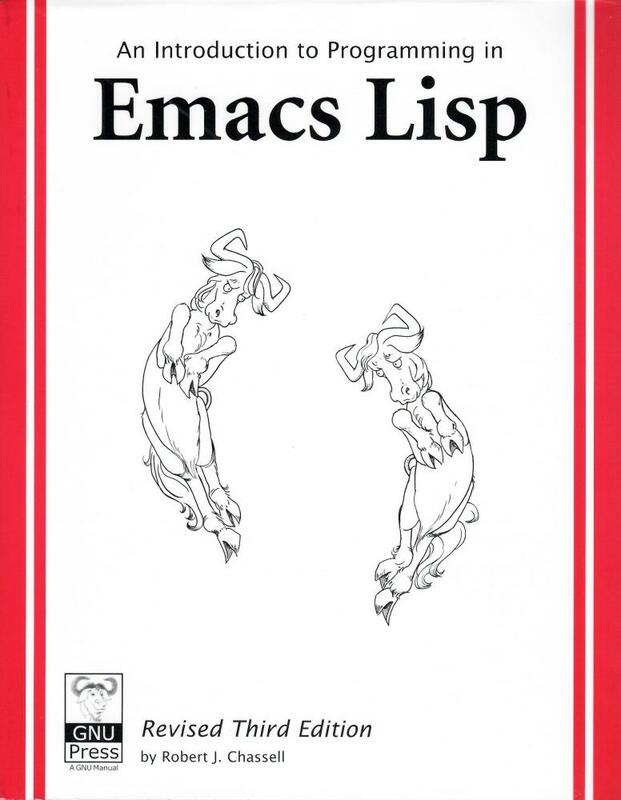 Emacs Lisp is a simple, complete, and powerful programming language. It is the building block of GNU Emacs, which is an integrated development environment with special features for scanning and parsing text as well as for handling multiple files, buffers, displays, windows, and sub-processors. - How to use "if" and "let"
- How to customize GNU Emacs for yourself, even when it is shared on a network. - This revised third edition covers new features included in GNU Emacs version 21, while remaining compatible with earlier versions. Una traducción al español de este libro está disponible aquí. Robert J. Chassell has worked with GNU Emacs since 1985. He writes and edits, teaches GNU Emacs and Emacs Lisp, and speaks throughout the world on software freedom. He has an abiding interest in social and economic history and flies his own airplane.